The State Hermitage Museum is located in St Petersburg, Russia. They have quite a large and splended collection and have recently re-launched their Web presence with a fantastic site containing many examples from their collection of arms and armour. and i heard when the sun light that room up it's just amazing light in there. A smallsword with amber hilt. Wow! Swipe a bunch of those pics fr the myArmoury Albums section! Some very nice stuff not often seen. 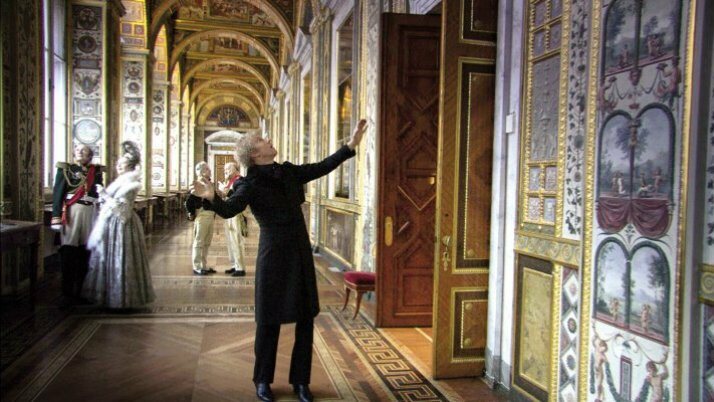 If anyone is interested in the White Palace/Hermitage museum, I highly suggest watching the film Russian Ark by Alexander Sokurov. The film follows two characters (a modern Russian and a 19th cen. French diplomat) as they experience an existential journey through the Hermitage Museum and debate Russian identity character and history, jumping back and forth between time periods as they go (not in chronological order). It is a beautiful film, all 96 minutes filmed with 1 camera in one continuous shot. Completed in one take with 3live orchestra and over 2000 actors/extras. It also gives a great tour of the Hermitage (the museum sponsored part of the film). Unfortunately no trips to the armour exhibits, but still, I highly recommend it, its a stunning film and museum! Sorry if this is a bit off topic, but if you watch the film...you'll thank me!